Sport allows athletes develop both physically and emotionally, they make new friends, realise their dreams, and know they can fit in. 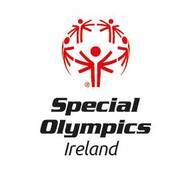 Special Olympics Ireland is a sports organisation for people with an intellectual disability, but it provides athletes with far more than the physical benefits of sport. Special Olympics enables them to achieve and win not only in sport but in life too.